Ex-president Benigno Aquino has been barred from leaving the Philippines amid the dengue vaccine controversy. 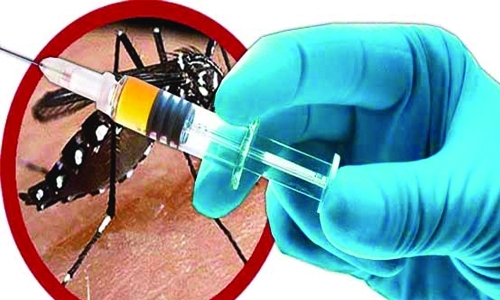 The Department of Justice (DOJ) has issued an ‘Immigration Lookout Bulletin Order’ (ILBO) against Aquino, some former cabinet members and Sanofi Pasteur executives in connection with the 3.5-peso billion dengue immunisation programme. In a memorandum released yesterday (Saturday, December 23) Justice Secretary Vitaliano Aguirre II directed Immigration Commissioner Jaime Morente to instruct all immigration officers to be on the lookout to prevent attempts of Aquino and others to leave the country. Placed under the ILBO were former Budget Secretary Florencio Abad, former Executive Secretary Paquito Ochoa, former Health Secretary Janette Garin, Guillaume Leroy, Olivier Brandicourt, Ruby Dizon, Thomas Triomphe and Carlito Realuyo. Aguirre issued an ILBO after militant group Gabriela and parents of children injected with anti-dengue vaccine Dengvaxia filed graft charges before the Office of the Ombudsman. Aguirre said that considering the gravity of the charges, there was a “strong probability” that the named people may attempt leave the country. “We thus deem the issuance of an ILBO against the subject persons prudent in order to at least monitor the itineraries of their flight, travel, and/or whereabouts,” he said. A person subject to an ILBO can still leave the country subject to conditions and requirements, including clearance from the Justice department. An ILBO is different from a court-issued ‘hold departure order’, because this only directs the Bureau of Immigration to be on the lookout for the subject and to verify the status of a case against the subject person, and not to restrict an individual from leaving the country. Aguirre required the NBI to submit a status report on their investigation regarding the issue, but did not set a timeframe. He said the probe would look into whether government officials should be held liable for the seemingly rushed procurement of the vaccine and the immunisation of more than 700,000 children. Aguirre admitted that among those who would be investigated for possible culpabilities is former President Aquino, who gave the go-signal for the DOH to proceed with the vaccination project in 2016. Also poised to be investigated is former Health Secretary Janette Garin, who insisted on implementing the project despite strong objections from medical experts due to lack of certification from the World Health Organisation. Pharmaceutical giant Sanofi Pasteur recently issued an advisory to the public that its dengue vaccine was effective for people who had had dengue prior to immunisation but created a risk of a “severe” case of dengue for people who had not had dengue.